Plan your visit today! Find out how to get here, where to stay, and what to eat. Click here for more information. It’s called Big Mountain for a reason. 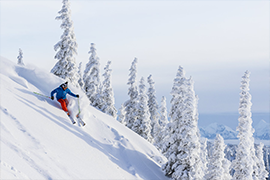 With 3,000 acres to choose from in winter, and myriad different activities to choose from in summer, our helpful employees will help point you in the right direction for your perfect trip to the mountain.